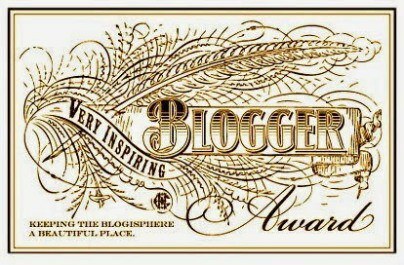 I’m very grateful to have been nominated for the Very Inspiring Blogger Award by The Pinterested Parent. She has a wonderful site and I highly recommend it! I am always inspired by the wonderful people I meet through the blogsphere. There is a strong and active community ready to inspire you. Although there are many more than listed here, I have listed 15 very inspiring blogs I enjoy reading and feel are very deserving of this award. Please check them out. -*this is optional: you may display the award logo on your blog and follow the blogger who nominated you, spread the love! 1. I’m pregnant! Yes, I’m expecting my second baby boy around Thanksgiving. What an interesting time to be due! My 2.5 year old is slowly catching on to the new activity but I don’t think either of us is fully prepared for the change. We never are, right? 2. I love reading and my favorite book right now is “The Happiness Project” by Gretchen Rubin. I try to crave out time every day to read something. Recent books I’ve enjoyed are “The Happiness Project” and “Happier at Home” by Gretchen Rubin. I can’t wait for her next book coming out soon called “Habits.” I’m also reading “The Book Thief” and I just finished the “Divergent” series. 3. I’m an “obliger”. Recently, I’ve enjoyed watching clips on YouTube where Gretchen Rubin talks about her new book “Habits.” I’ve learned from her talks that I’m an “obliger.” That means that I tend to obey outer (world) rules but not inner (self) rules. You can also be a rebel, a questioner, or an upholder. Check out her talk on YouTube called, Four Ways to Successfully Adopt Habits. 4. I am addicted to everything Montessori. When I started sending my toddler to a Montessori school, I become completely fascinated with everything to do with Montessori education. It has been so helpful and meaningful to me as a new parent. 5. I grew up in New Jersey. Anyone else out there from New Jersey? I only think about it now because I’m visiting NY city and it brings back some childhood memories. I get to visit my old home after Labor Day and I have mixed feelings about it! 6. I love soy chai lattes. This is a favorite treat of mine. I don’t have one everyday but it is my special treat. I love that my husband and I share this treat together. We have fun finding the best chai lattes in new places that we visit. Still working on NY city. Categories: Toddler, Uncategorized | Tags: blogs, Education, homeschool, inspiring blog award, kids, mommy blogs, Montessori, natural, Toddler | Permalink. Thanks so much for your nomination! I love the montessori work that you do its remarkable.. Your YouTube videos and site have been a great resource! Thank you for sharing! Thanks! I appreciate you following along and reading my posts! Thank you for the nomination and congrats on the pregnancy! I’m pregnant with my second as well. We’re due in early January. I’m not so sure my 2 1/2 year old has caught on yet though. Exciting! Yes, it’s difficult sometimes to know what a toddler is thinking 🙂 I hope pregnancy is going well. ; ) I’d love some pregnancy recipes! Thanks for sharing!